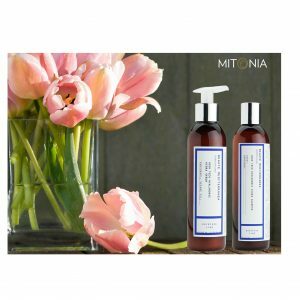 At Mitonia, we understand how important it is to hydrate and moisturise your hair and scalp, in order to maintain beautiful, healthy and protected hair. We believe that at Beauté Mediterranea they have this topic covered. We have heard for years from the experts how important it is for a good skincare regime to moisturise and hydrate our skin. Skincare manufacturers have emphasised on the importance of keeping our skin hydrated and moisturised using skincare products that often carry the incredible active ingredient hyaluronic acid, which can carry thousands of times its weight in water, but not forgetting drinking litres of water a day. But what about your hair? Like skin, hair ages becoming dry, damaged and dull and therefore it is in constant need of moisture and hydration not only to ensure that the hair shaft is restructured and not drying out, but also the need for the scalp (which is skin) to be hydrated and moisturised, which then helps the hair follicle and the stimulation of new hair growth. Beauté Mediterranea with its vast skincare experience, has realised the need for a complete haircare regime that can address this important, everyday requirement to moisturise the hair and scalp in order to offer beautiful, healthy and shiny hair that is visibly full of life. 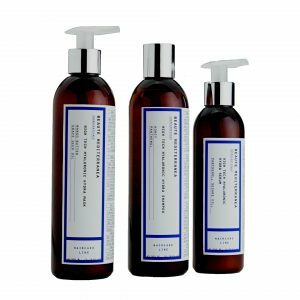 With the Beauté Mediterranea HIGH TECH HYALURONIC HYDRA Shampoo, Mask and Serum your hair and scalp will not only be hydrated, it will be treated and protected due to the incredible innovative formulations of all three products.